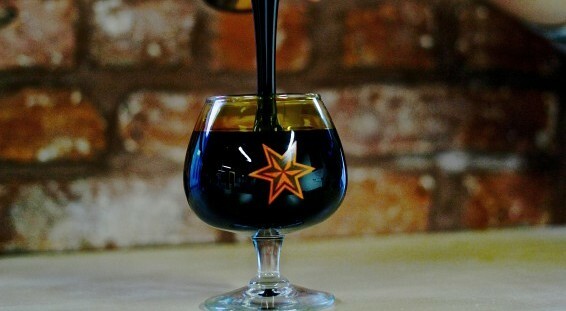 [April 2, 2015] There were two reasons I wanted to spotlight Sixpoint’s Abigale. One, I’d never had it. Two, it was going to be available at the April 1 Tap Takeover at Wildwood Barbeque (always on the first Wednesday each month). And three—okay, three reasons—is that my granddaughter’s name is Abigail. And she’s been known to try a beer, if yet to enjoy one. Not that the Sixpoint company out of Brooklyn is particularly known for coloring inside the lines of classic styles, but all the promotional material about the beer suggests a reverence for monastic brewing traditions. A video at the brewery’s website shows founder Shane Welch on a bridge overlooking Belgian canals (presumably Bruges), touring the Trappist monasteries Orval and Rochefort, having a few brews with the monks, while Stan Hieronymus, author of Brew Like a Monk, offers commentary. 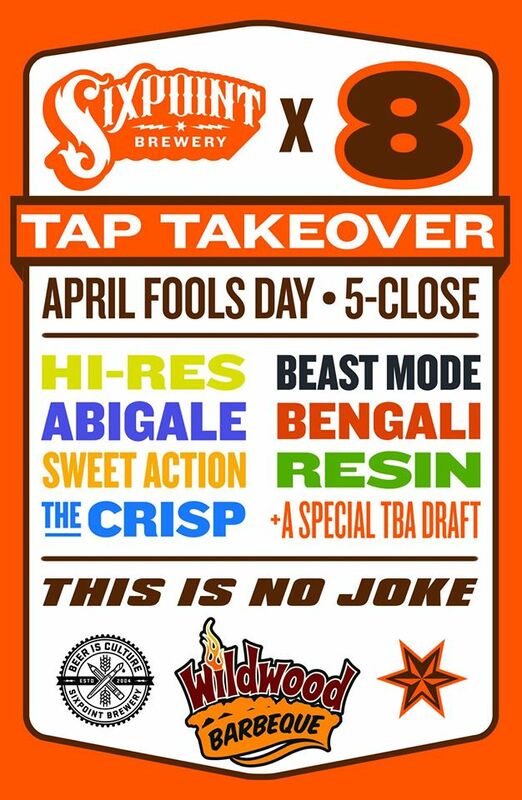 All this for a beer with a limited March to May life-cycle, although as part of Sixpoint’s Cycliquids series there’s a good chance it will show up again next year. The beer actually showed up early in the brewery’s life in 2005 in limited amounts, as easy to find as a Westvleteren 12. Now distributed widely across the brewery footprint in 17 states, we all have a better shot. Sixpoint has four beers in year-round rotation, seven seasonals (or cycliquids), all in their tallboy 12-ounce cans, which feel a little like beer toys for grownups. There are any number of draft-only one-offs, and the ongoing Mad Scientists small batch series. The latter is up to its 21st iteration, called LUMP, a 7.7% ABV porter brewed with blackstrap molasses and cherry purée. In an earlier version of this post I announced that LUMP would be the to-be-announced special draft at Wildwood, but this turned out to not be the case. The 19th version, an attempt at creating a fairly faithful version of a Finnish Sahti, showed up instead. It was amazingly sour and pouring out with excessive foam, but we dealt with it, for awhile at least. 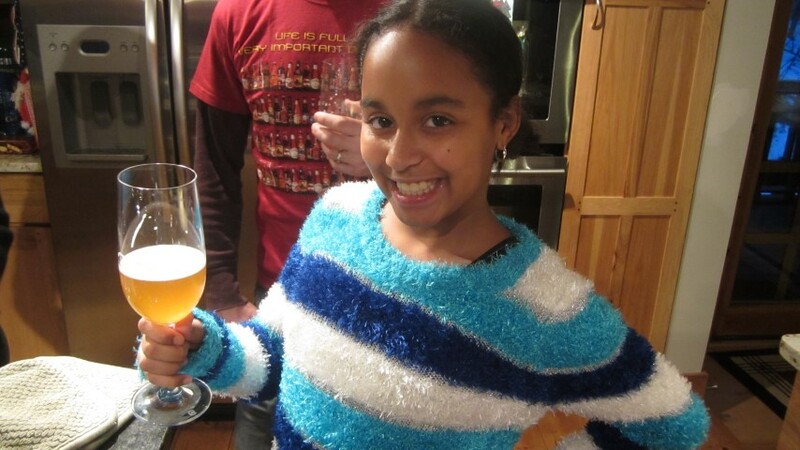 Abigale was one of the seven other Sixpoint beers poured. If I were judging it in a homebrew competition—under the Belgian Pale Ale category it seems to be masquerading in—I’d have to take points off for stylistic eccentricity. Although made with European malts, Belgian yeast and even dark Belgian candi sugar fashioned from beets, the beer doesn’t strike me as particularly Belgian, because the yeast character is overwhelmed by its floral hop presence, a mix of Amarillo, Cascade, Citra, Galaxy and El Dorado. This isn’t a problem in the No Holds Barred category, where I give it high marks simply because the beer is quite yummy. A pretty reddish amber, it has plenty of fruity esters, plum and apricot, a coquettish sweetness that seems to come and go in a complex swirl of flavors, as well as an edgy bite to it at first sip and a lingering sharp finish as well. The overall impression is more American than Belgian, but that appears to have been the intent. Call it a Belgian-Style Double IPA and I’d be more persuaded, though that style is still a relatively rare bird in Belgian. A Big Ale? Yes. And outside the lines, to be sure, but a pretty picture nonetheless. I met you in Handy’s today. 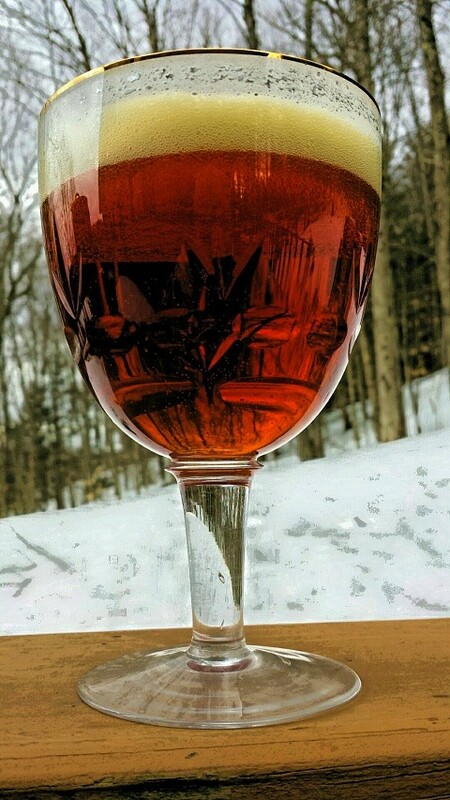 I’m enjoying your blog – love the humor and character you put into your writing (your beer recommendations are great too!). Thanks, Tara. It was a pleasure meeting you this morning. Good luck with the working-at-a-brewery plans!